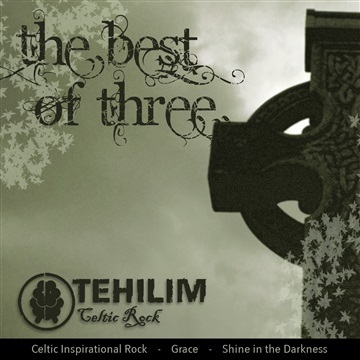 The best songs of first three CDs of Tehilim Celtic Rock: "Celtic Inspirational Rock (2006)", "Grace (2009)" and "Shine in the Darkness (2010)". O melhor dos três primeiros CDs do Tehilim Celtic Rock: "Celtic Inspirational Rock (2006)", "Grace (2009)" e "Shine in the Darkness (2010)". César Ricky Mendes: electric and acoustic guitars, keyboards, drums, harmonica and vocals. Jackie M. Mendes: tin whistles, low whistles and vocals. Danilo Lisboa: drums and keyboards. Emerson Toschi: back vocals - special feature in "Come As You Want"
Gerson Freire: vocals - special feature in "Come as You Want"